I’m not a hot wings fan in the typical sense. 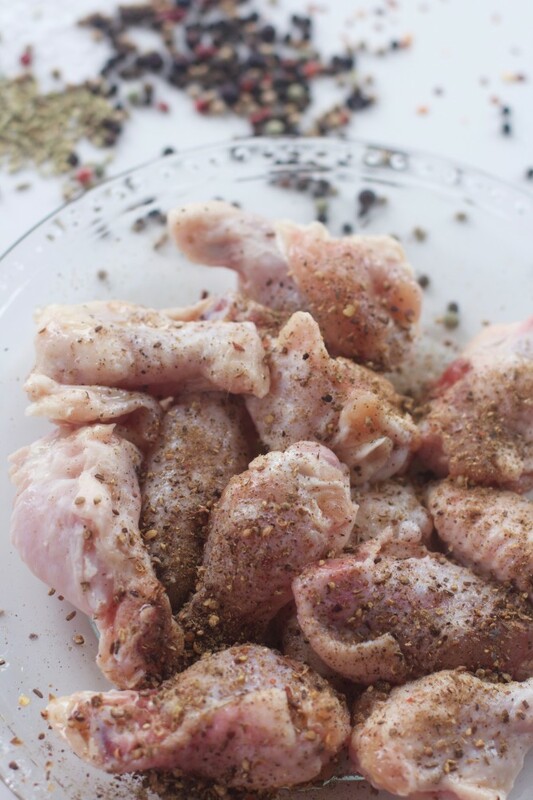 However, I do love crispy, oven fried, flavorful spice-rubbed wings. 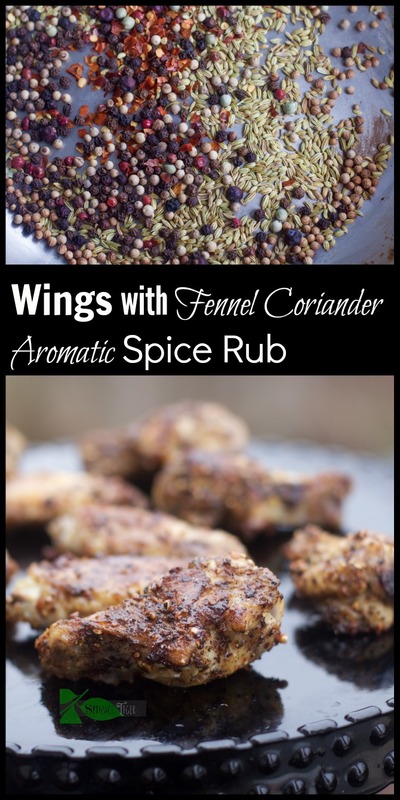 In this recipe, I used a homemade aromatic spice rub of coriander seed, fennel seed, Tellicherry peppercorns and sea salt. They were toasted on top of the stove and then ground somewhere between fine and coarse. Coriander and fennel seed are known to have many healing properties. Coriander is one of the stars of this spice rub is an anti-inflammatory, and has positive health benefits for balancing blood sugar and lowering cholesterol levels just for a start. Fennel is well known to help with digestive problems and both have been used for medicinal purposes for thousands of years. When put together, the flavor is magical. Healthy Party Food! This is one of my favorite spice rubs and it’s very diverse. Grind it coarse and put it in olive oil for a sultry bread dip. Grind it finely and make a vinaigrette with olive oil and lemon. Mix in ground beef for amazing burgers or mix it into ground beef for this popular recipe. Use it as a rub for pork chops or a roast chicken. Toast the seeds with the salt on top of the stove in a dry frying pan for a about a minute. If you’re going to add in the optional red chili flakes, don’t toast those, put them in at the end. When making wings, make sure they are dry. You can add a little olive oil or apply the rub dry. Let sit for 30 minutes out of the refrigerator. Bake in hot oven at 425º F for 10 minutes on each side. You might even want to drizzle a little honey. This naturally is great for parties and a perfect healthy, Paleo friendly choice. Easy to make ahead, and they warm up quickly. Serve on a platter with orange slices, which is especially nice if you’ve pumped up the heat with some red chile flakes. Drizzled honey is another option which helps cut into the heat. What’s YOUR favorite kind of wings? Leave me a comment and let me know. Please subscribe and stay connected. 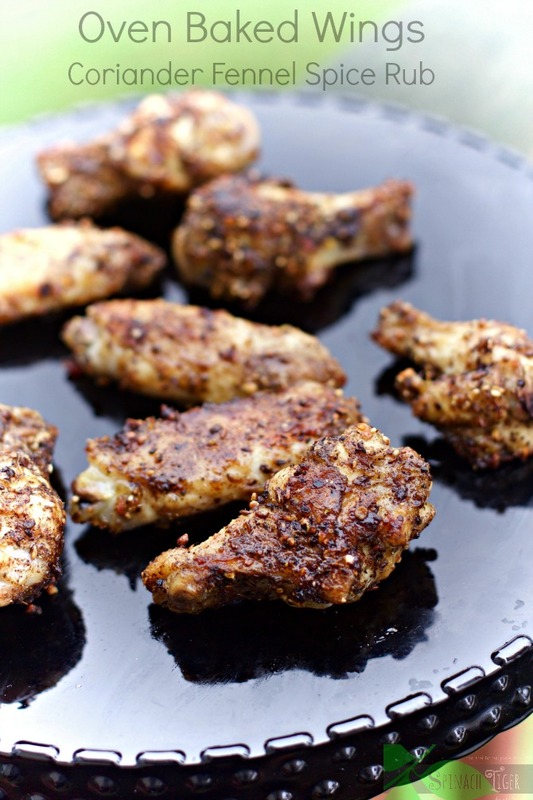 Love the honey drizzle with these spices. I use fresh cilantro and ground coriander a lot, and I’ll use cracked coriander for quick pickling. I rarely use it for seasoning in this manner, and I love the idea. It’s a great flavor for so many meats and seafood. Thanks for the reminder! Oh does that every look yummy!! 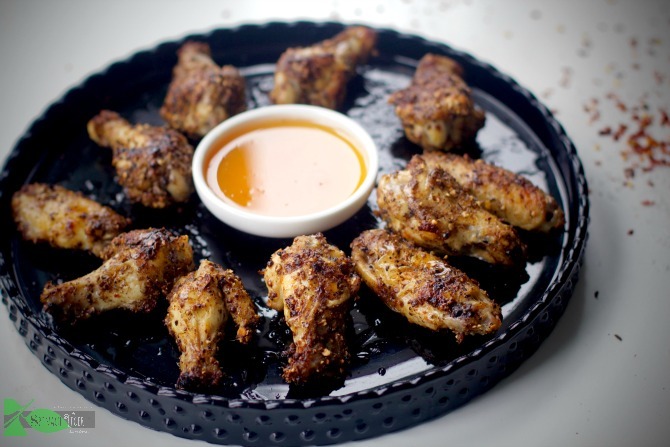 Chicken wings are one of my family’s favorite appetizer. I will definitely try that rub. I am a huge chicken wing fan! This spice blend sounds so lovely. Is it hot at all? I like them a bit spicy, with a kick, but not so overpowering that you can’t enjoy the chicken flavor. Oh man, I love all your alternate ideas for the spice rub, too! I have to try it with olive oil as a bread dip.